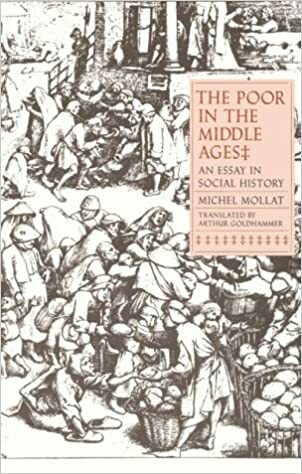 The Poor in the Middle Ages: An Essay in Social History [Michel Mollat, Arthur Goldhammer] on Amazon.com. *FREE* shipping on qualifying offers. Julius Kirshner, "The Poor in the Middle Ages: An Essay in Social History. Michel Mollat , Arthur Goldhammer ," The Journal of Religion 68, no. 4 (Oct., 1988): 590-591. doi.org/10.1086/487937. MOST READ. Of all published articles, the following were the most read within the past 12 months. What Isn't Religion? The Poor in the Middle Ages has 16 ratings and 1 review: Published September 10th 1986 by Yale University Press, 336 pages, Hardcover.